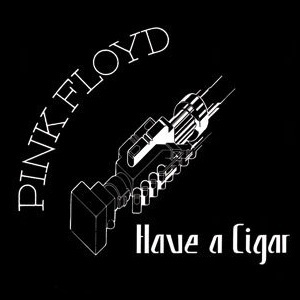 “Have a Cigar” is the third track on Pink Floyd’s 1975 album Wish You Were Here. It follows “Welcome to the Machine” and on the original LP opened side two. In some markets, the song was issued as a single. English folk singer Roy Harper provided lead vocals on the song. It was one of only two Pink Floyd recordings to feature guest lead vocals. “Pink Floyd – Have A Cigar” by Source (WP:NFCC#4). Licensed under Fair use via Wikipedia.